"Instead of draining the swamp, the Trump administration is telling the alligators … that the zookeepers are taking a nap." President Donald Trump on Thursday signed legislation to scale back parts of the Dodd-Frank Act, calling the deregulatory move "a great day for America." The banking reform bill, which resulted from the economic collapse of the late 2000s, had long been the object of complaint by the financial services industry. However, the "big changes" to the legislation that Trump highlighted are really just modest alterations, some experts say. Banks and opponents of regulation didn't get close to all they wanted from the new law. The legislative success did whet appetites for more, however. What might not be gained in Congress, due to the difficulty of gaining enough Democratic support, could occur through other means. But establishing a unified set of goals across all parts of the financial services industry could be the biggest challenge. Anyone who expected Dodd-Frank to be gutted was bound for disappointment. 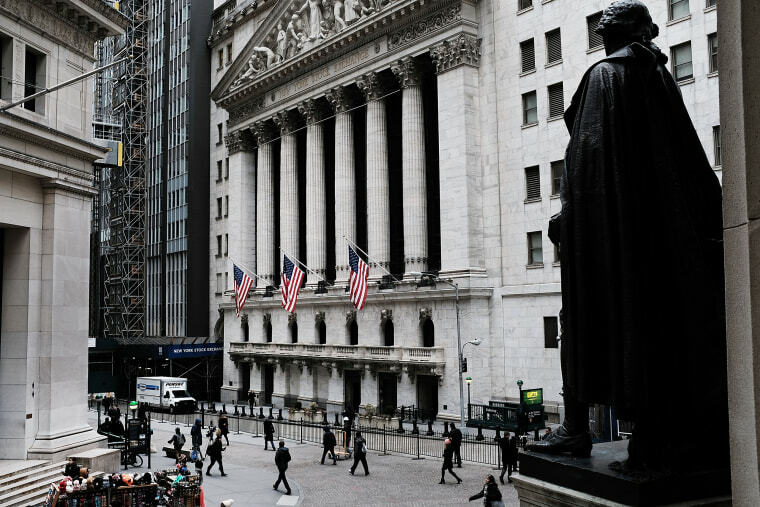 "This bill enshrines Dodd-Frank into law," said Aaron Klein, policy director of the Center on Regulation and Markets at the Brookings Institute. "The core elements of Dodd-Frank, stricter regulatory scrutiny and higher financial requirements, [remain in place.]" More extensive goals like a complete repeal of the Volcker Rule, which reduced the ability of banks to use consumer and business deposits for speculative investments, an end to the Consumer Financial Protection Bureau, or the replacement of bankruptcy code additions for regulatory powers to unwind insolvent banks "were never going to attract moderate Democrats" necessary for passage, said Michael Silva, chair of the financial services regulatory practice at DLA Piper. Proponents saw any display of bipartisanship as a success in itself, but weren't satisfied. Financial services companies want more changes on a long-existing wish list. One of the top three would involve "the way the Consumer Financial Protection Bureau was set up," said Jeff Szyperski, CEO of Chesapeake Bank and the chairman-elect of the American Bankers Association. The CFPB is currently funded by the Federal Reserve, not Congress, and has a single head rather than a board like the Federal Deposit Insurance Corporation (FDIC), providing some serious insulation from politicians. The agency has levied stiff fines on major banks and is disliked by many in the industry. Two other items on the checklist would be major changes to lenders Fannie Mae and Freddie Mac to increase private industry involvement in the mortgage market, and controversial updates to the Community Reinvestment Act, which forces banks into dedicating some of their loans to minority communities. However, it's important to note that banks of different sizes can frequently have competing interests, said Diego Zuluaga, a policy analyst at the Cato Institute Center for Monetary and Financial Alternatives. "The bigger banks comfortable with their internal models of risk management and which run a spreadsheet with 3000 variables" can manage the same complex regulations that are daunting and expensive for smaller banks, Zuluaga said. The giants see complications as competitive barriers. Providers of payday loans and other high-interest financing for low-income people also benefit from regulations that can dissuade banks, with their higher available capital and greater reach, from entering those lines of business. Further bills are unlikely at least this year. There are "few legislative days that Congress has left on the table to take up anything material," Szyperski said. That doesn't mean additional deregulation won't happen. It just won't go up for a vote. "The Trump administration will deregulate by not enforcing existing rules and laws and weakening the [regulatory] institutions," Klein said. "[CFPB] Acting Director Mick Mulvaney earlier this week gave a private talk to debt collectors. Instead of draining the swamp, the Trump administration is telling the alligators … that the zookeepers are taking a nap."